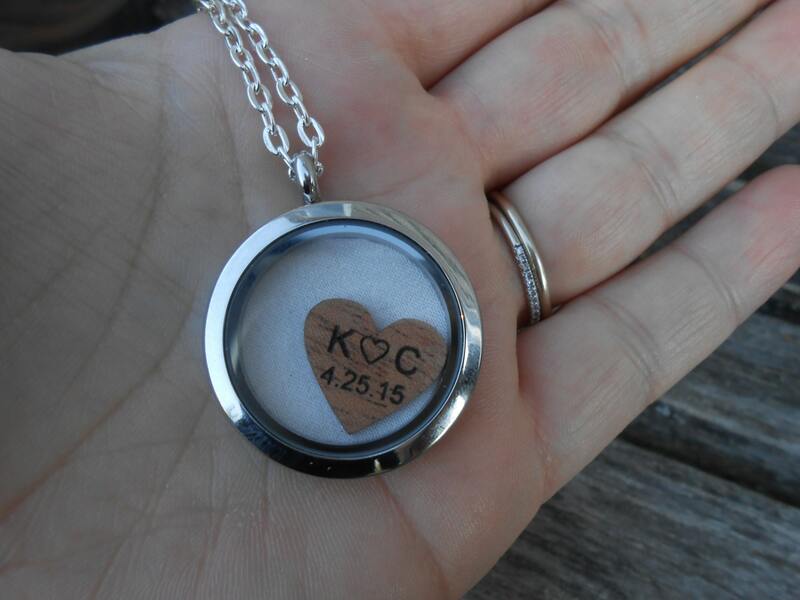 Wedding Dress Locket Necklace, With Engraved Heart. Bridesmaid Gift, Mom Gift. 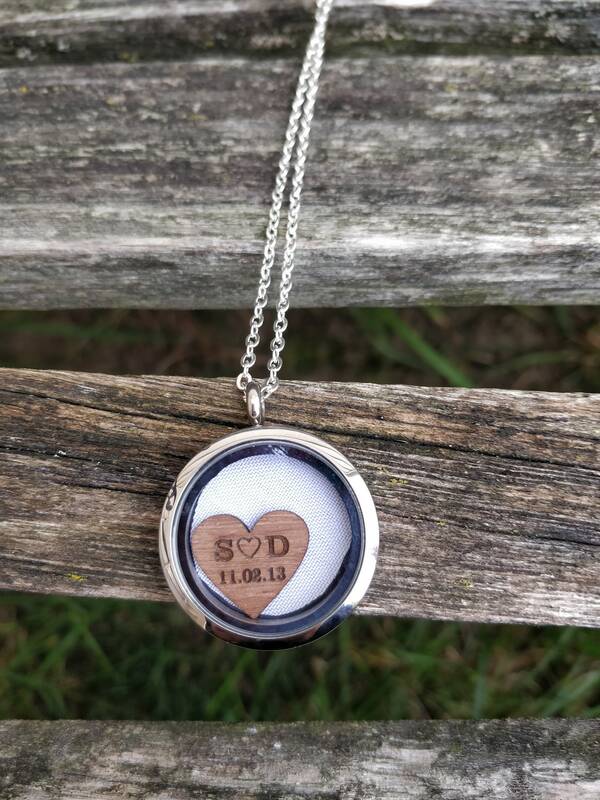 Memory Locket. 5th Anniversary Gift, Wood. 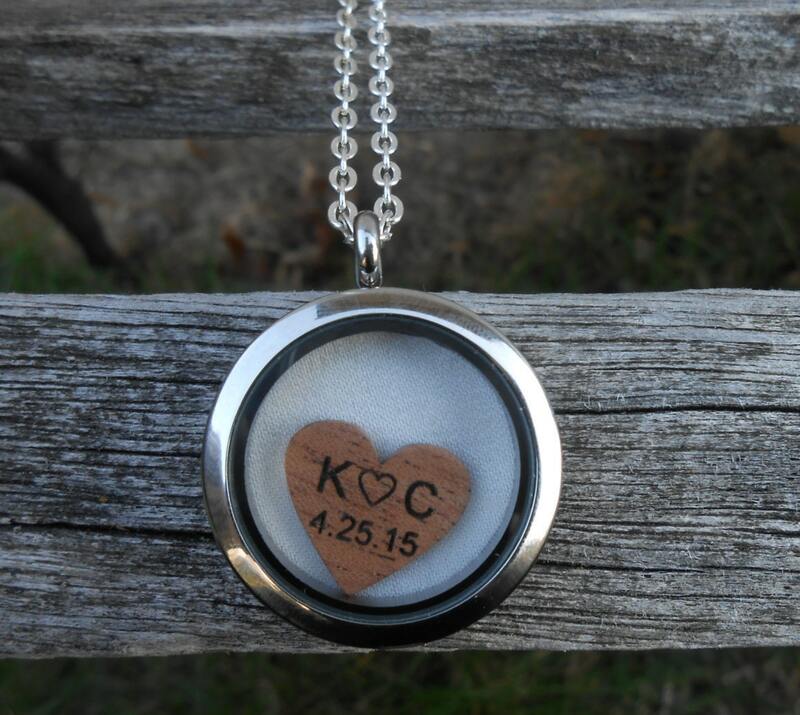 This listing is for a custom order for ONE memory locket necklace. Here is how it works! 2. Mail me pieces of fabric or lace from your wedding dress, or veil, or any other fabric you want made into a necklace. 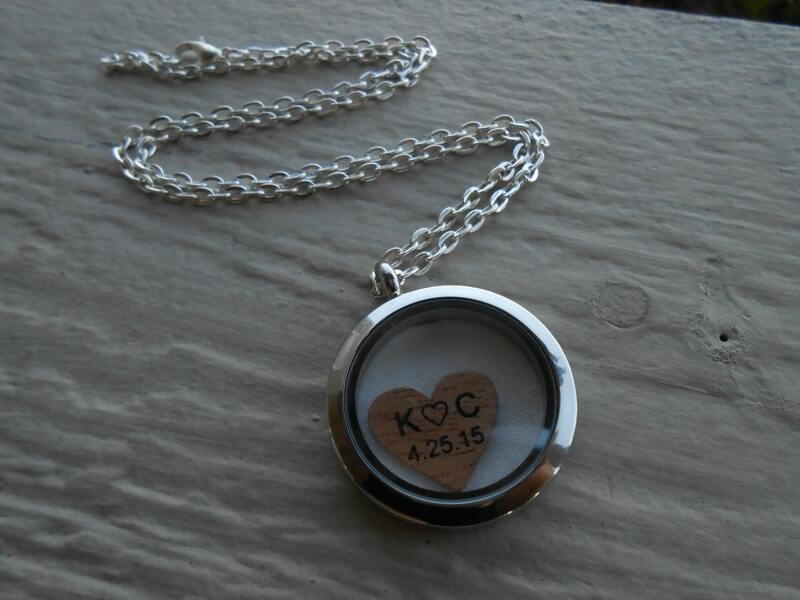 Let me know what initials, date, or short saying you want engraved on the heart. 3. I will make your necklace and mail it back to you. ****I CAN PUT ALMOST ANY KIND OF FABRIC IN HERE. 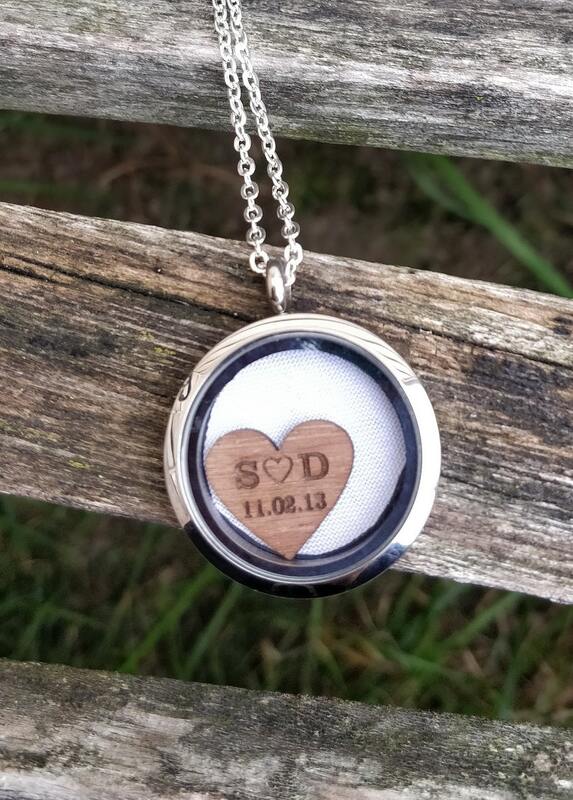 IF YOUR LACE HAS PEARLS, APPLIQUE, SEQUINS, OR ANYTHING LIKE THAT, THEN THIS IS THE LOCKET YOU WANT! These make great 5th anniversary gifts (wood)! 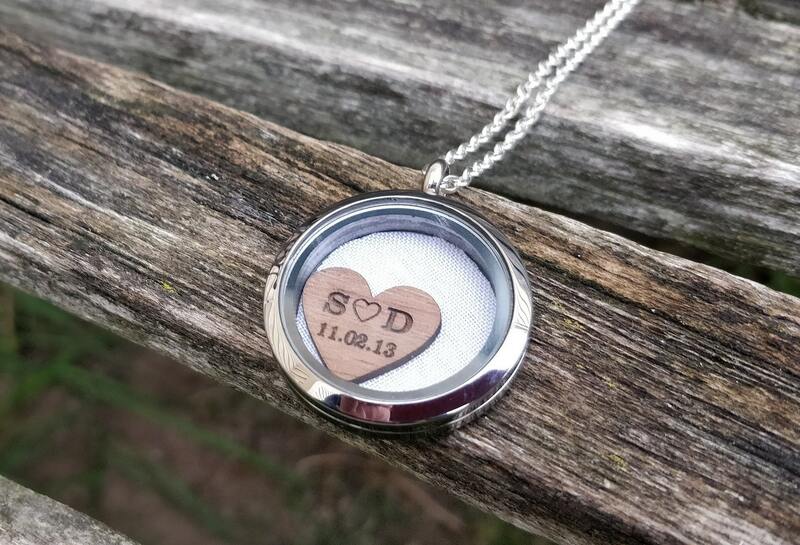 These are perfect to give to your bride, bridesmaids, moms, or anyone else!